Thank-you Uxbridge Town Talk for including an article about us in the November 2013 edition of their magazine. Click here to read it! 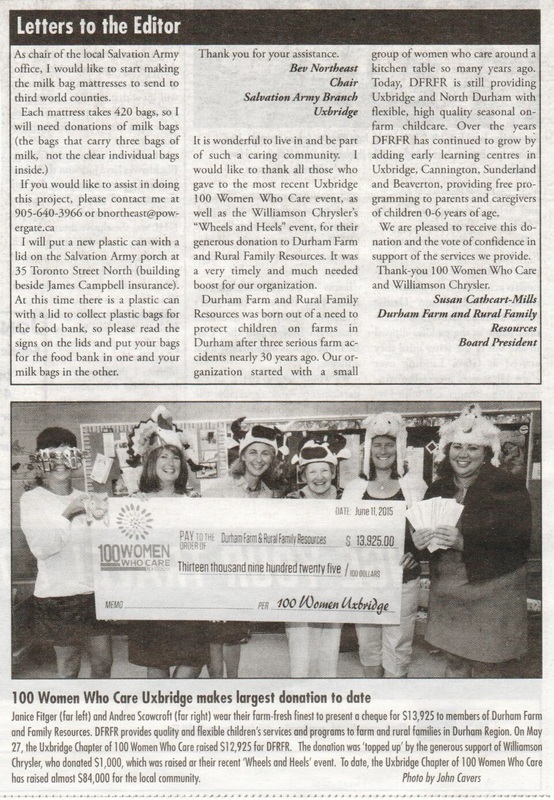 Thank-you The Uxbridge Cosmos for including a story on 100 Women Who Care Uxbridge in your November 7th edition! Click here to read the article! 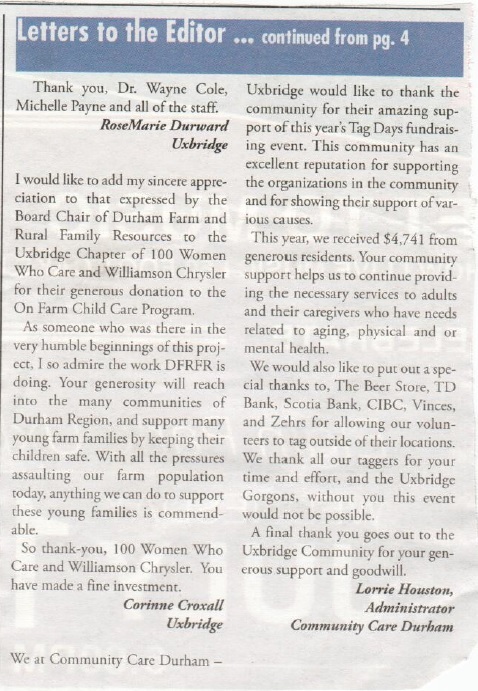 Thank-you snapd Stouffville/Uxbridge for including 100 Women Who Care Uxbridge in your Event Calendar. Click here to see the posting! Thank-you Uxbridge Times Journal for including an article about us in your November 14th edition! Click here to read the article! 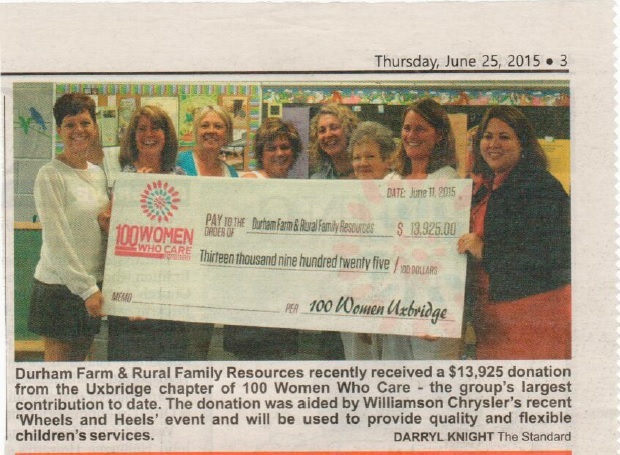 Thank-you to The Standard for including an article about 100 Women Who Care Uxbridge in your November 14th edition! Click here to read the article! A huge thank-you to The Uxbridge Cosmos for attending the cheque presentation of $8,200 to Sunrise Pregnancy and Family Support Services on December 3rd. Click here to read the article that appeared in the December 5th edition. Click here to read the article that appeared in the Uxbridge Times Journal January 2nd. Click here to read the article that appeared in the Stouffville/Uxbridge January 2014 edition of snapd. Thank-you for the support! Click here to read the article that appeared in The Citizen Newsletter- Issue 19, 2014. 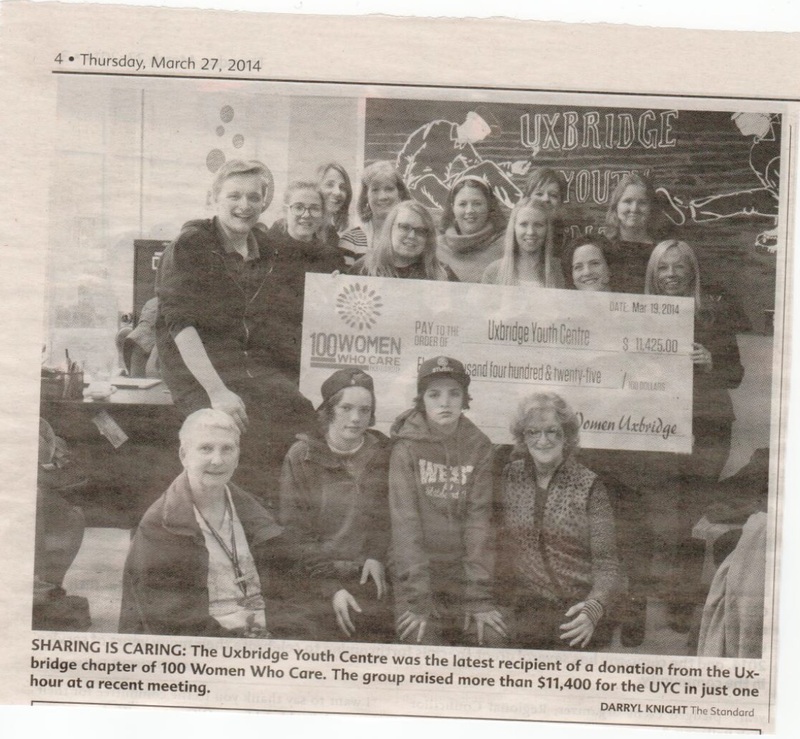 Click here to read the article that appeared in The Uxbridge Cosmos March 27, 2014. Click here to read the article that appeared in the Stouffville/Uxbridge April 2014 edition of Snapd. Click here to read the article that appeared in The Standard July 3, 2014. Thank-you for the support! 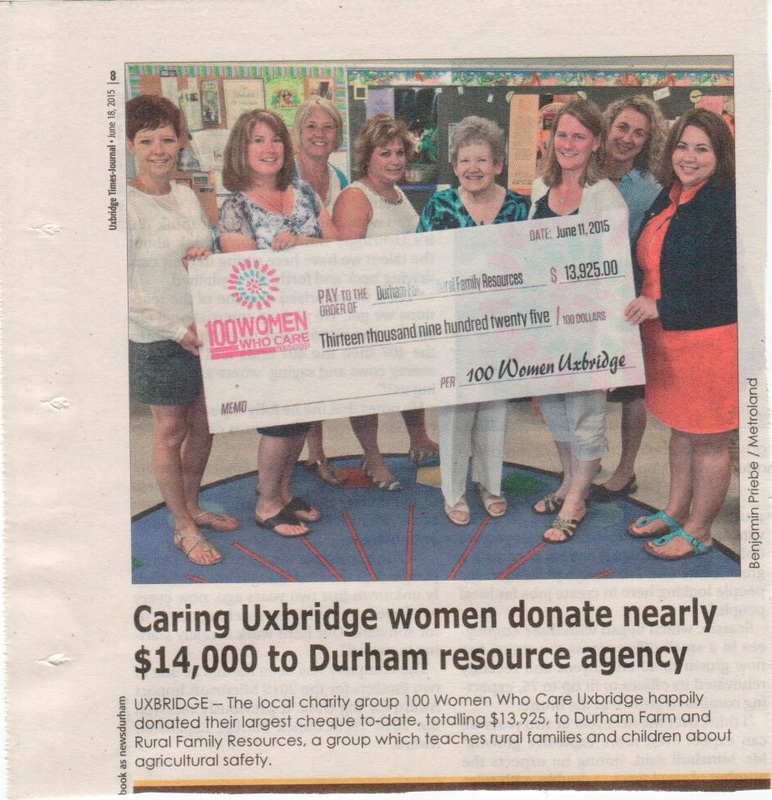 Click here to see the photo that appeared in the Uxbridge Times Journal July 17, 2014. Click here to read the article that appeared in the Stouffville/Uxbridge August 2014 edition of Snapd. Click here to see the cheque presentation photo that appeared in the September 25th edition of The Standard. We have inspired another chapter...100 Men Who Care. Click here to read the article that appeared in the Nov 28th edition of the Uxbridge Times Journal. Click here to read the article that appeared in the March 26th edition of the Uxbridge Times Journal. Be sure to check out the article that appeared in the Spring/Summer edition of the Uxbridge & Area Networking Group magazine! 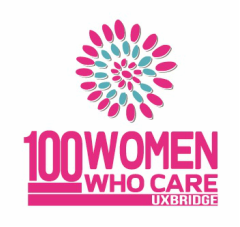 I love the timeline that shows the progression of 100 Women, 100 Men & 200 Kids Who Care Uxbridge! Thanks for including us! Click here to see the photo that appeared in the June 18, 2015 edition of the Uxbridge Times Journal. Click here to read the Letter to the Editor section in the June 18, 2015 edition of the Cosmos. Also a fun picture taken by John Cavers at the cheque presentation! Click here to see the photo that appeared in the June 25, 2015 edition of The Standard. Click here to read the article that appeared in the Oct 1, 2015 edition of the Uxbridge Times Journal. Click here to read the article that appeared in the Stouffville/Uxbridge October 2015 edition of Snapd. Click here to read the article that appeared in the Oct 15, 2015 edition of the Uxbridge Times Journal. Click here to read the article that appeared in the Dec 3rd edition of the Uxbridge Times Journal. Click here to read the article that appeared in the March 17th edition of the Uxbridge Times Journal. Click here to read the article that appeared in the Stouffville/Uxbridge July 2016 edition of Snapd. Click here to read the article that appeared in the Stouffville/Uxbridge October 2016 edition of Snapd. Click here to read the article that appeared in the October 6th edition of the Uxbridge Times Journal. Click here to read the article that appeared in the Stouffville/Uxbridge March 2016 edition of Snapd. Click here to read the article that appeared in the March 22, 2018 edition of the Uxbridge Times Journal. Click here to read the article that appeared in the Stouffville/Uxbridge April 2018 edition of Snapd.